There’s no getting around it: administrative tasks are a chore. Invoicing is no exception. But like all chores, it has to get done. And you’re not doing yourself any favors by doing it wrong. Invoicing is what gets you paid—it’s the lifeblood of your business. Just keeping the ship afloat is hard enough, so you really can’t afford to make these mistakes. To help you stay on top of your invoicing and demystify the process, here are a few common mistakes many small business owners and start-ups make – and some practical suggestions to avoid those pitfalls! It happens all too often. Yes, you’re busy. Sure, it’s tedious. You might think you have more important things to do. But the truth is, you don’t. By neglecting timeliness, you’re significantly affecting your cashflow. And as time passes, the potential for negligence increases. When the exchange is fresh, customers are more apt to see it for what it is—they’ve come to terms with the financial loss and they’re eager to settle up. The longer you wait, the further that debt is from their mind. If you wait too long, they’re forced to come to terms with it all over again. Solution: Get a system in place to get those invoices out within a specified time period. Do it today. Prioritize the task so it never gets pushed aside. The idea is to engrain the task and make it second nature—like brushing your teeth. If you forget to do it, you’ll be thinking about it all day long. Being professional means being polite, as well as firm. The ideal invoice includes both of these qualities. If you’re missing either side of this equation, you run the risk of coming across as rude—or worse, amateur. If the customer doesn’t take you seriously or is otherwise put off by your invoice, the chances of payment are slim. The chances of the coveted referral are even slimmer. It pays to be polite and professional – literally. Solution: Exude authority without excluding the niceties. Don’t forget the “please” and “thank you.” Extending professional courtesies and good manners goes a long way toward a prompt and painless payment and repeat business. What’s clear to you isn’t necessarily clear to your customer. 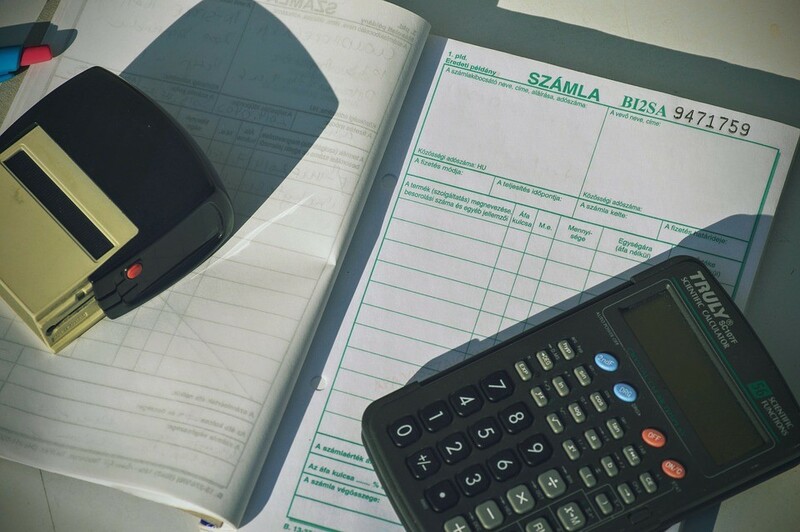 Unclear invoices often result in delayed (and neglected) payments. If it’s difficult for the customer to understand exactly what they’re paying for and why, they’re much more likely to drag their feet on settling the debt. And you don’t want to surprise them if they come to you for clarification. Nothing turns a customer off like a “surprise” charge—whether real or imagined. Solution: Be clear and detailed—outline and itemize your invoices in a way that’s impossible to misunderstand. What is the customer paying for? Better yet, don’t spend time making your own template, when there are already free ones available online. For example, Sage offers free, customizable invoice templates for a range of industries, providing a simple solution to your startup’s invoicing issues. Every invoice sent is an opportunity to present your business in its best light. A nondescript, uninspired invoice is just a bill. And nobody likes paying bills. If your invoice doesn’t stand out in any discernible way, it’s likely to be lost or forgotten before it gets paid. Marketing campaigns are costly, to say the least. Dropping the ball on this free platform is like passing by $100 on the ground without taking the effort to bend over and pick it up. Solution: Take advantage of the attention while you have it. For starters, put your logo front and center on your invoice to enhance brand recognition and put a professional face forward. Secondly, keep in mind that happy customers can provide you with the best (free) advertisement possible. Include coupons with your invoice for future use, or a discount offer for writing a review. Throw in a branded refrigerator magnet with your city’s sports team’s game schedule. Get creative! While cashflow may be king, the customer is always right. So, how do you negotiate these two golden rules when they conflict? Sometimes, you have to be flexible. Being too rigid in your policies can negatively affect your relationship with an otherwise valuable customer who happens to have a special request. Not adapting to customer needs or refusing a particular method of payment can be detrimental to future business. Solution: Consider accommodations such as payment extensions or installment plans on a case by case basis. Don’t be too quick to deny a request. Sometimes making an exception to your rules can pay off in customer loyalty and positive referrals going forward. There’s no better way to guarantee an unpaid invoice remains unpaid than neglecting to follow up on the issue. Beyond that, even if your invoice has already been paid, failure to reach out is a sorely missed opportunity to connect further. Getting a customer is hard work—ending the engagement prematurely doesn’t make sense. Businesses who don’t bother to ensure customer satisfaction are exponentially less likely to capture repeat business. Solution: Set a date from the initial engagement to reach out, regardless of invoice status. A simple courtesy call means a lot. Especially for small businesses, it’s crucial to forge ongoing relationships with your customers and make sure they’re satisfied. Don’t make the ultimate mistake of being careless. It’s critical to treat your invoicing as routine practice. The whole process, from initial engagement to that final follow-up, should be regimented. That includes reviewing active and completed invoices systematically. Depending on your rate of cashflow, it could be monthly, weekly or daily. The key is regularity. Admin is a muscle—work it. Sage is the global market leader for technology that helps businesses of all sizes manage everything from money to people – whether they’re a start-up, scale-up or enterprise. We do this through Sage Business Cloud – the one and only business management solution that customers will ever need, comprising Accounting, Financials, Enterprise Management, People, and Payments & Banking. Our mission is to free business builders from the burden of admin, so they can spend more time doing what they love – and we do that every day for three million customers across 23 countries, through our 13,000 colleagues and a network of accountants and partners.